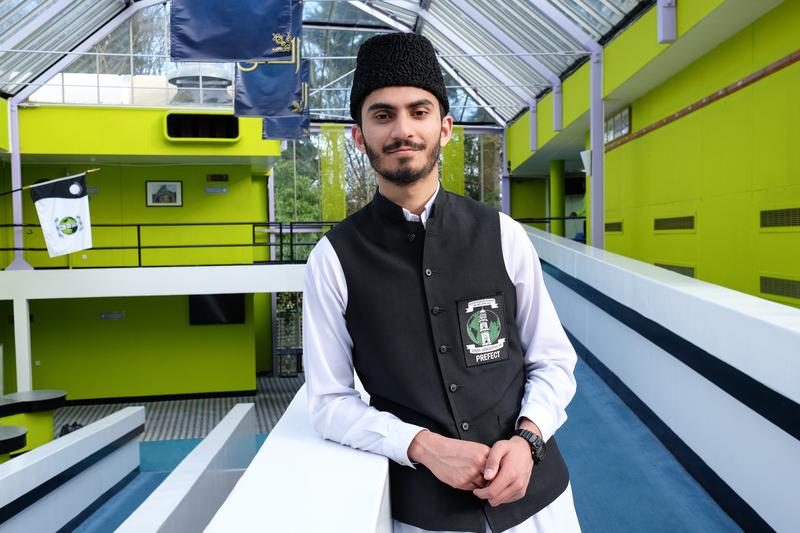 Daniyal Kahlon, 20, imam-in-training at the Jamia Ahmadiyya institute in Surrey. Photographed at Jamia Ahmadiyya in March 2017, interviewed in July 2016. “I used to think: ‘I want a flashy car, I want a big house, I want all the money.’ After my GSCEs, I was applying to sixth-form colleges to study sciences and maths. I was probably going to end up doing dentistry or engineering – wherever the money led me. But then I went to an open day at Jamia. I know it sounds cheesy, but maybe there was a divine hand pulling me towards it. I just knew it was the right decision. My family’s reaction was one of happiness. My non-Muslim friends were alarmed at first. When you tell someone you’re training to be an imam, their first reaction is to step away because of the image of Islam they get from the news – a regular Muslim is already a scary prospect and maybe an imam is even scarier. But it only takes 30 seconds to break the ice, to start a dialogue, and then they understand you. The Ahmadis are a tightly-structured sect accounting for 1% of Muslims. In the UK, Ahmadi teenagers can join the Jamia after their GCSEs and do a seven-year imam-training course. Some Muslims shun Ahmadis as some of their beliefs differ from mainstream Islam.